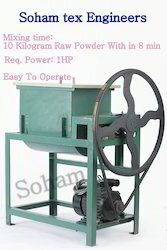 Mixing time:10 Kilogram Raw Powder With in 8 min. Mixing time: 16 Kilogram Raw Powder With in 10 min. Power: 05 to 1 HP 1 Phase. You can mix 10 Kg within 5 to 10 minutes. Packaging Details: wooden box or corrugated box packing. Power : 1 hp 1 phase. You can mix 15 kg within 5 to 10 minutes. Easy to operate. made in India. 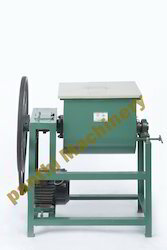 manufacturer of quality machine suppliers of from Best innovative machine. Looking for Incense Powder Mixing Machine ?